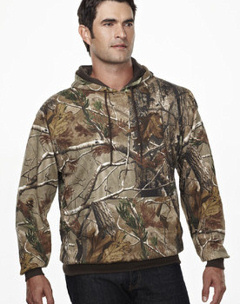 Custom embroidered camo camouflage sweatshirts Officially Licensed REALTREE® , Russell Outdoors, Code V and Tri Mountain. A Great way to stay warm on those chilly days in the woods. 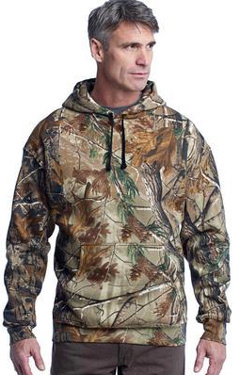 Camo Camouflage basic crew sweatshirts, hooded hoodies or camo full zip sweatshirts. Add your custom embroidery at no extra charge. 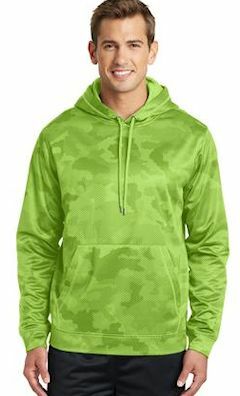 3969 Code V Camouflage Hooded Sweatshirt 7.5 oz. 3989 Code V Adult Officially Licensed REALTREE® Camouflage Hooded Zip Front Sweatshirt, 8 oz. 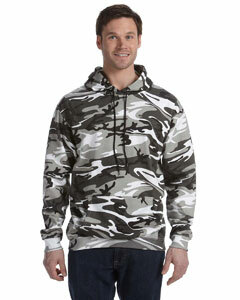 Tri Mountain 689C 9.8 oz, Perspective Camo hooded sweatshirt. Custom embroidered 689C, Perspective Camo Hooded Sweatshirt, 9.8 oz. Don't let the cold get in the way of your accuracy. 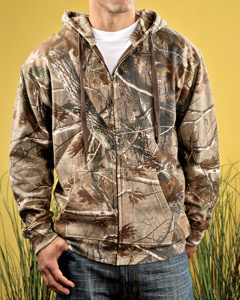 The Perspective Camo camouflage hoody features the popular Realtree APT pattern. This 9.8 oz. 80% cotton/20% polyester hooded sweatshirt features a lined hood with drawstring, along with rib knit cuffs and waistband. Kangaroo pouch pocket. Custom Embroidery Included.